Is there any way to play DRM protected Audiobooks on Android phones or tablets? With the development of Android, more and more smart phones and tablets are packed with Android OS. And the problem is how can you transfer the media contents downloaded from iTunes to these Android devices. As is known to us that the movies and TV shows that you have bought from iTunes Store have DRM protections which prevent you from copying them to Non-Apple devices. And how about the Audiobooks from iTunes? Of cause, the iTunes Audiobooks are also DRM protected. So when you have an Android phone or tablet like Samsung Galaxy S3 or Google Nexus 7, it is really an annoying problem to listen to your Audiobooks on it. The best way to play iTunes DRM Audiobooks on Android is to remove DRM from those Audiobooks downloaded from iTunes Store. 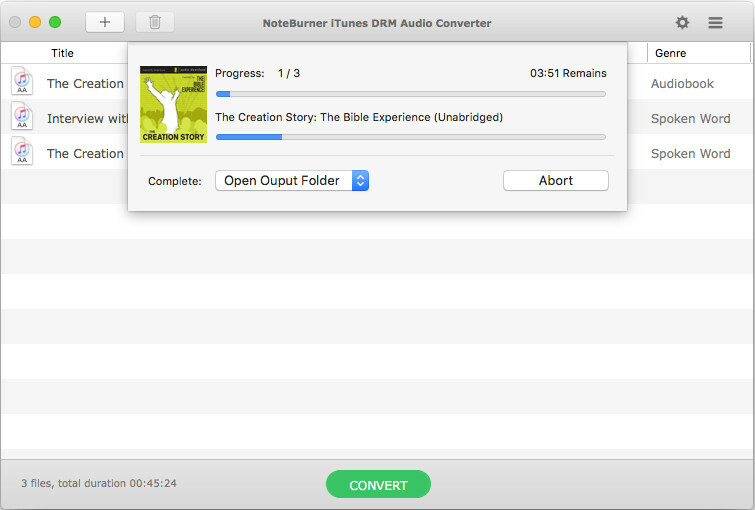 Here we recommend you try NoteBurner iTunes DRM Audio Converter for Mac as the top DRM audiobook to Android converter. Note: If you need to convert audiobooks on Windows PC, then you can try Windows version. It is an all-in-one iTunes Audio Converter which can help you convert Apple Music files, audiobooks and M4P music to plain MP3, AAC, WAV or FLAC. 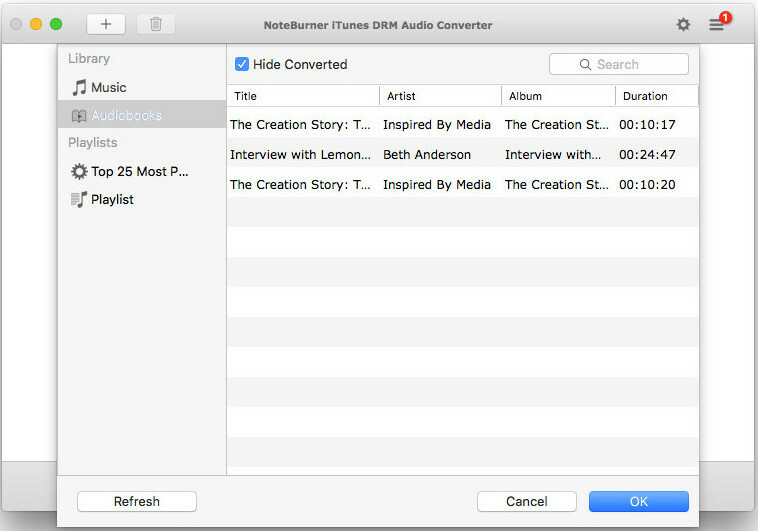 Please launch NoteBurner iTunes DRM Audio Converter. After click the "+" button on the top left to add audiobook, a window will pop up which will show you all the iTunes music and audiobooks, and then you need to click "Audiobooks" and choose the audiobooks you want to convert from the list and click "OK". 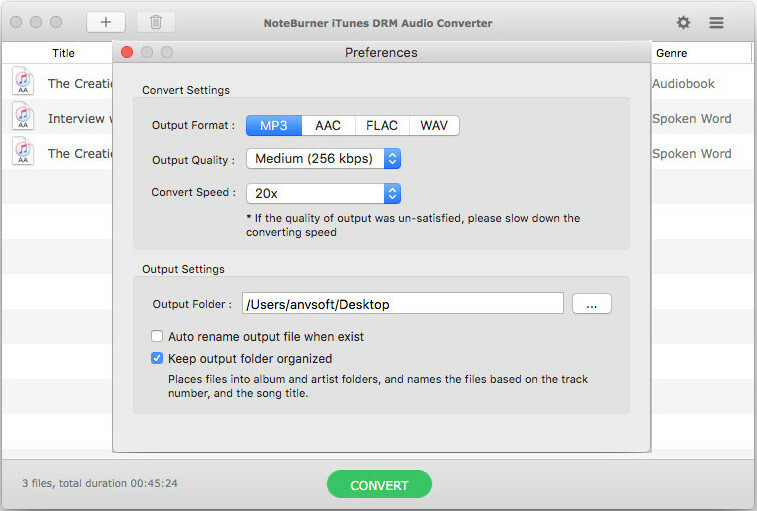 Click the menu bar "iTunes DRM Audio Converter > Preferences" or directly click setting button on the program interface, and then there will be a pop up window which allows you to set output path and output audio format. Output format as MP3, FLAC, WAV & AAC are available to choose.